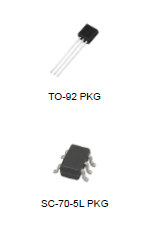 The LM2950G is a low power voltage regulator. This device is an excellent choice for use in battery-powered application such as cordless telephones, radio-control systems, and portable computers. The LM2950G features a very low quiescent current (75uA typ.) and a very low drop output voltage (typ. 40mV at a light load and 380mV at 100mA). Furthermore, a tight initial Output voltage tolerance of 0.5% Typ., an extremely good load and line regulation of 0.05% Typ., and a very low output temperature coefficient ? all that makes the LM2950G very useful as a low-power voltage reference.